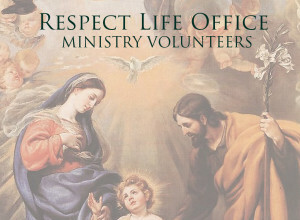 Do you want to be a Volunteer in Respect Life Ministry? Respect Life Ministry currently needs volunteers who would like to be Deanery Coordinators and Respect Life Leaders in these deaneries and parishes, see below. If you are interested in volunteering at one of the listed deaneries or parishes below or are interested in learning other ways to Volunteer in Respect Life Ministry please contact the Respect Life Office.